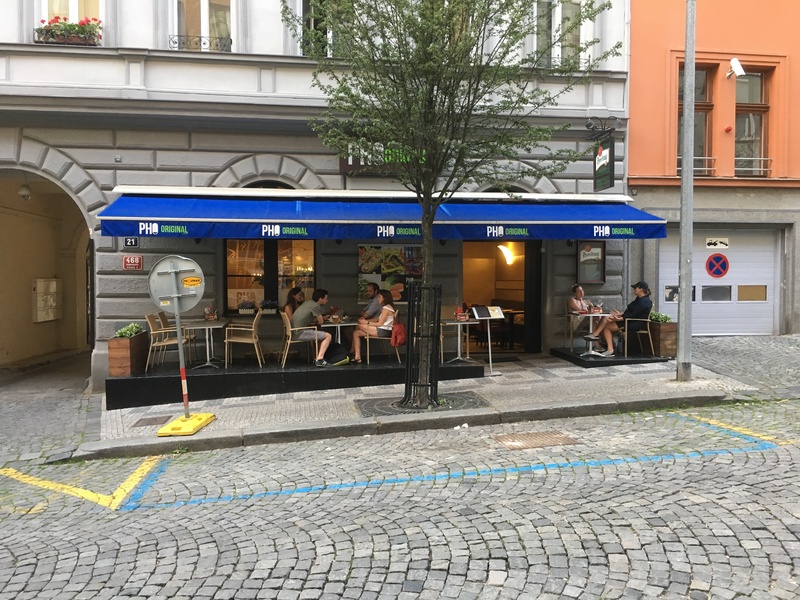 There are several restaurants called Pho in Prague. Pho is a Vietnamese noodle soup so not a name you can trademark. This one calls itself ‘Pho Original’. I’ve no idea if they were the first Pho or not. What they do have is outside seating, albeit on the street. 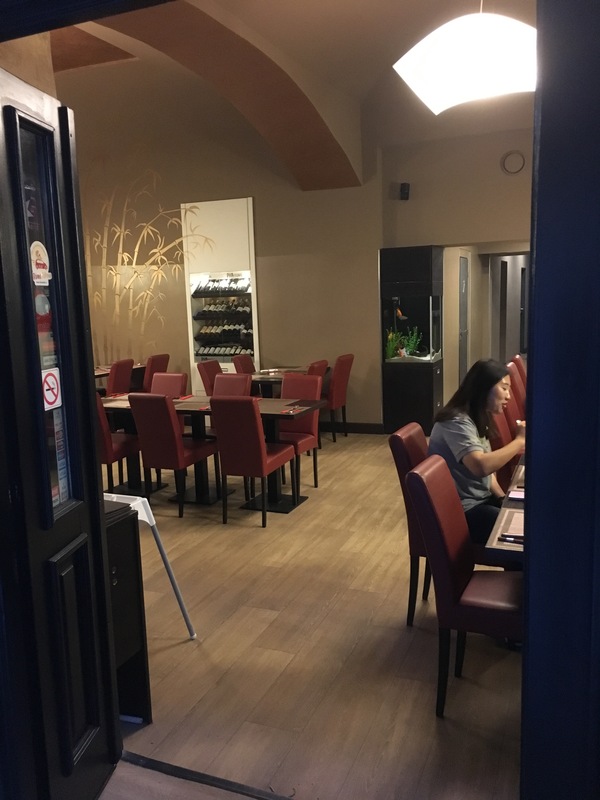 We sat on the table for two to the right of the door – that isn’t us sitting there in the photo! We ordered a reasonably-priced bottle of Puglia Primitivo (285Kc) and an over-priced jug of tap water (59Kc). They did refill the jug for free, but that’s still too much for a jug of tap water, even if it did have a lime in it. For starters we had coconut tempura tiger prawns (115Kc) and spring rolls (69Kc). The tempura was a bit heavy, not helped by the coconut. The spring rolls were perfect. For main, we both had duck in red curry and rice (195Kc per) – plenty of duck slices and it was pretty good. 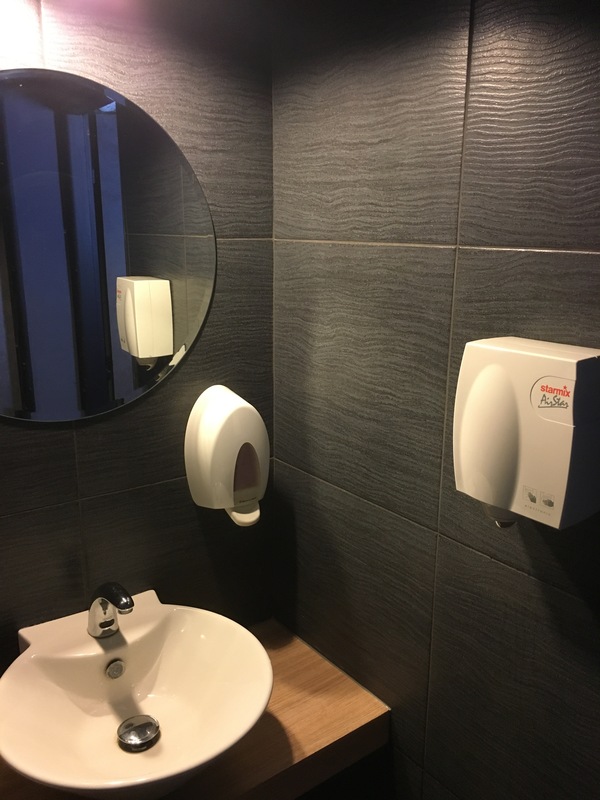 The toilets were clean and modern, the only disappointment was the useless hand dryer on the wall. It was one of those stop every 3 seconds, hardly blow air, get so hot you burn your hands and eventually dry on your jeans versions. Our total bill for dinner and wine outside 918Kc. It’s a reasonable price for what we had and we’ll go back again.